The Russian branch of Interpol has issued a search notice on former oligarch Mikhail Khodorkovsky, currently under investigation over the 1998 assassination of a Siberian City mayor, Interfax has reported. However, at the time of the Interfax report, Interpol’s web-site did not contain any information about Khodorkovsky. The ex-tycoon’s press secretary Kulle Pispanen said in comments to RIA Novosti that she could not confirm the news about the search notice, adding that Khodorkovsky did not plan to make any changes to his current living arrangements. When reporters asked Pispanen about the possibility of Khodorkovsky applying for political asylum in a chosen country, she answered that the same question had been asked about three months back, and that the answer to it remains the same – Khodorkovsky has promised to think about it. In late December 2015 the Russian law enforcement agency dealing with especially serious crimes – the Investigative Committee – said that the former head of the Yukos oil company had been arrested in absentia and put on an international wanted list. The agency spokesman elaborated that Khodorkovsky was suspected of conspiracy to murder two or more people – a crime that can carry a life sentence in Russia. In June 2015 the Investigative Committee reported that it had re-opened the criminal case that was started after the murder of Vladimir Petukhov – the mayor of the Siberian city of Neftyugansk who came into conflict with Yukos stakeholders and managers and was killed on June 26, 1998, Khodorkovsky’s birthday. Five primary suspects, including Yukos co-owner Leonid Nevzlin and head of Yukos’ security department Aleksey Pichugin, have already been tried and sentenced, but the probe into their crimes continued until 2015 because investigators wanted to reveal their accomplices and primarily who ordered the hits. In December 2015 the Investigative Committee summoned Khodorkovsky for questioning as a suspect in Petukhov’s assassination. The ex-tycoon, who currently resides in Switzerland, called the law enforcers’ fresh move “a boring attempt to change the subject.” He also assured people that he had no intention of meeting with investigators. 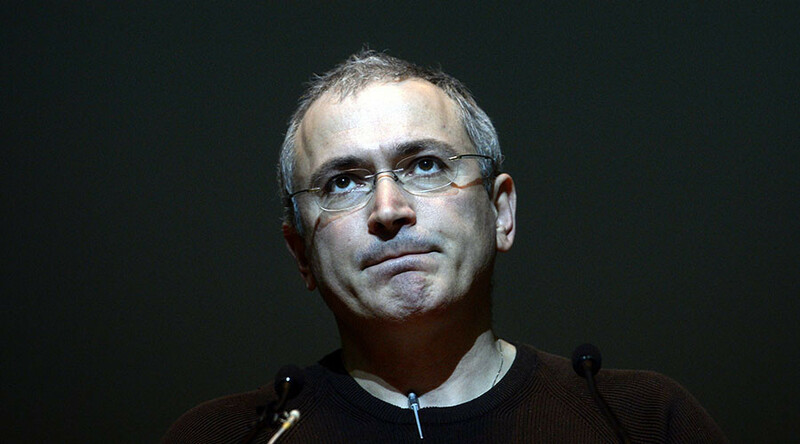 Once Russia’s richest person, Mikhail Khodorkovsky was arrested in October 2003. Following a lengthy trial, in 2005 he was convicted of tax evasion and sentenced to nine years in prison. In 2009, Khodorkovsky was charged with embezzlement and money laundering. The second trial ended in late 2010 with a sentence of another 14 years, minus the term that he had already served. After another legal battle, the final ruling cut the sentence to 11 years. In December 2013, Khodorkovsky was pardoned by President Vladimir Putin and left Russia for Germany to visit his elderly mother. Later he moved to Switzerland, which is now his main place of residence.